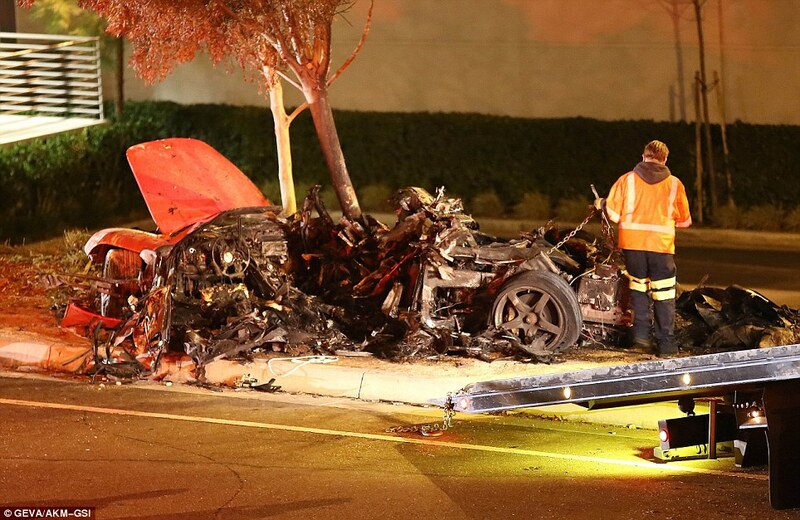 Actor Paul Walker, best known for his role in the Fast & Furious action movies, has died in a car crash after his friend lost control of a Porsche GT which smashed into a pole and a tree. 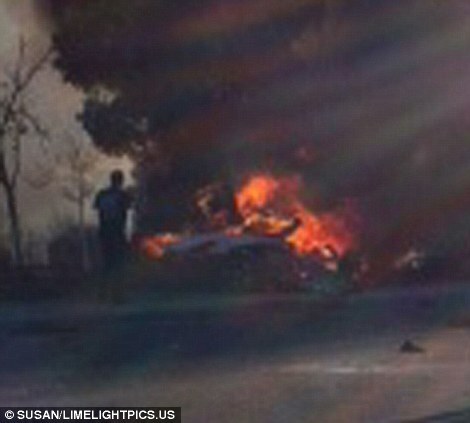 The high-powered super-car, which was being driven by Roger Rodas, burst into flames after it crashed in Santa Clarita, north of Los Angeles, at 3:30pm on Saturday. 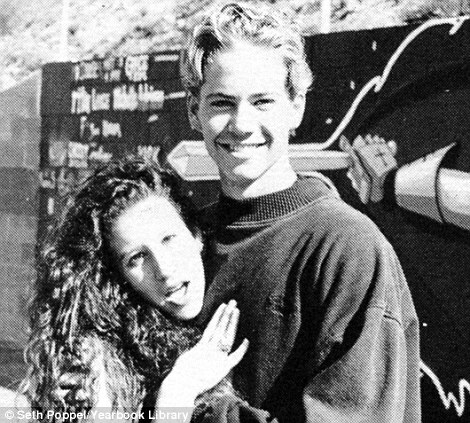 Walker, 40, who appeared in five of the six films about illegal street racing and heists, had been at an event for his charity Reach Out Worldwide before deciding to take the car, a cherry-red Porsche Carrer, out for a drive with his friend. The fundraiser, to benefit victims of Typhoon Haiyan, had been taking place in a race car shop near the scene of the crash. 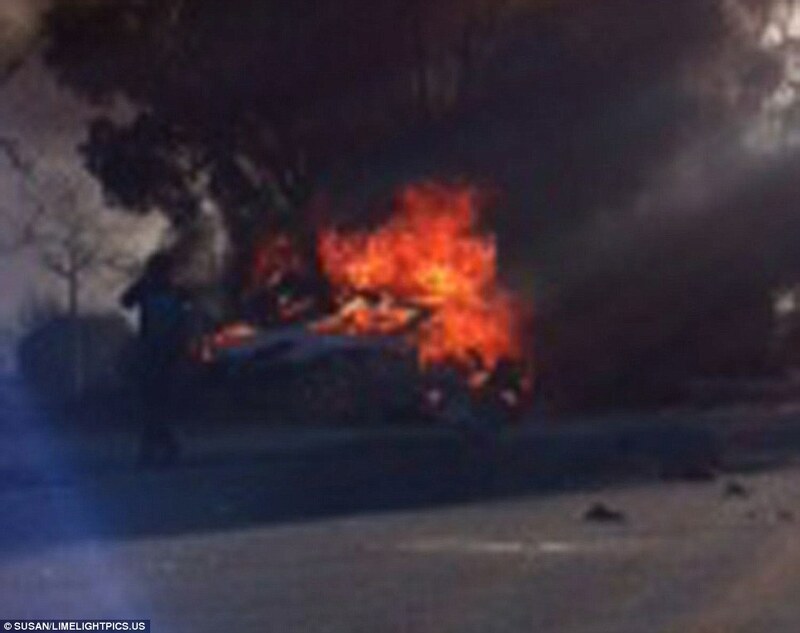 Guests rushed to put out the flames with fire extinguishers but the fireball had already engulfed the car. 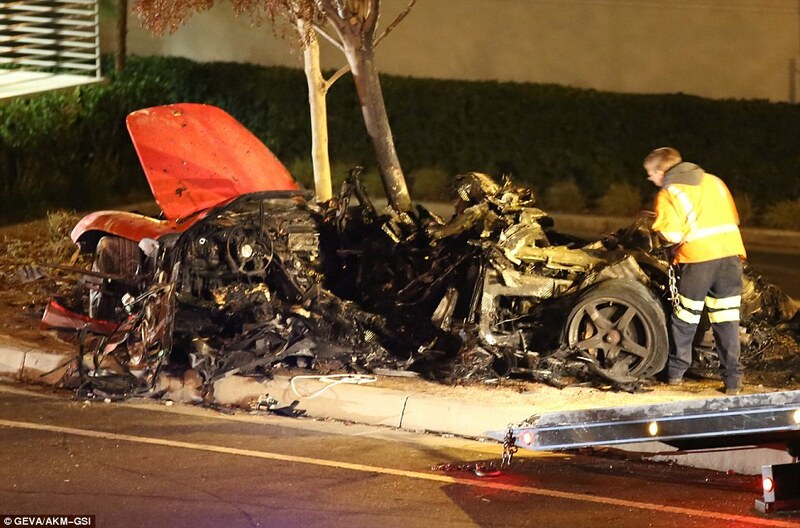 The driver of the car has been identified as former race car driver Roger Rodas, 38, who was also Walker’s financial adviser. The pair were friends and had been racing for several years before they began collaborating on Walker’s finances. Rodas had helped Walker establish his Reach Out Worldwide charity, after creating his own foundation to support widows and orphans in his native El Salvador. Rodas was also the CEO of Always Evolving, the car customization shop where Saturday’s charity event had been taking place. The star’s representatives and official Facebook page have confirmed his death. The actor’s official Facebook page was also updated with the message: ‘It is with a truly heavy heart that we must confirm that Paul Walker passed away today in a tragic car accident while attending a charity event for his organisation Reach Out Worldwide. ‘He was a passenger in a friend’s car, in which both lost their lives. ‘We appreciate your patience as we too are stunned and saddened beyond belief by this news. Walker, who leaves behind a 15-year-old daughter, was an investor in the Always Evolving car shop in Valencia, California. 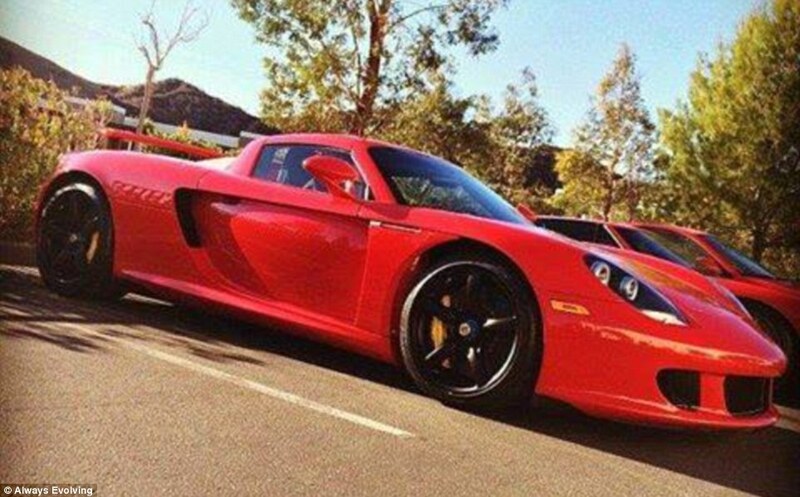 While at the event, Walker and Rodas decided to take the Porsche GT out for a spin. One witness, Jim Tort, who was at the event told the NY Daily News, Rodas’ eight-year-old son tried to save his dad. ‘I ran over afterwards, I was trying to find Roger’s son. ‘I found out his son had jumped the fence and gone over. He was trying to get his dad out. Coroner Ed Winters said the bodies were so badly burned they would take days for them to be positively identified. Witnesses at the crash scene posted a video of the scene on YouTube showing debris from the wreckage while emergency workers cordoned off the area. 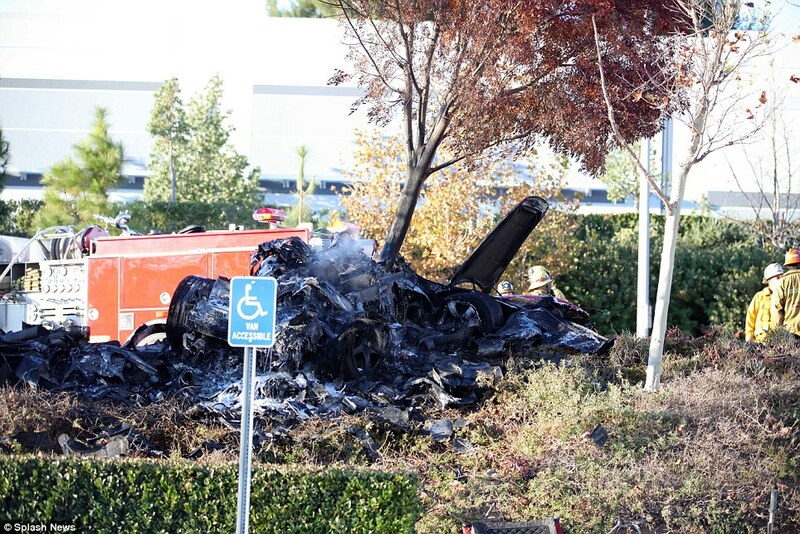 Photographs also show a burnt out shell of a car. Friends of the star told a local newspaper they ‘went through fire extinguishers’ in a futile bid to fight the blaze that engulfed the car after the crash. Antonio Holmes told the Santa Clarita Signal: ‘We all ran around and jumped in cars and grabbed fire extinguishers and immediately went to the vehicle. It was engulfed in flames. There was nothing. ‘We’re all here driving, enjoying each other, and God must’ve needed help. 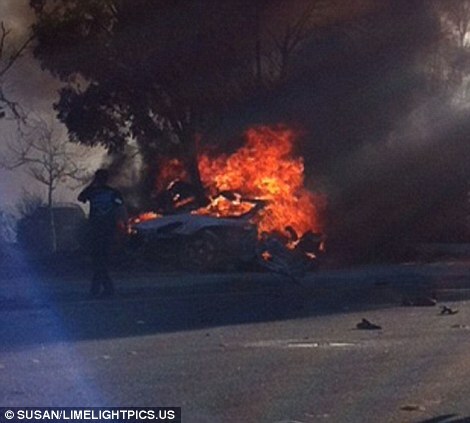 ‘When we saw Paul and Roger leave, Paul was the passenger in the vehicle. They both were experienced drivers. 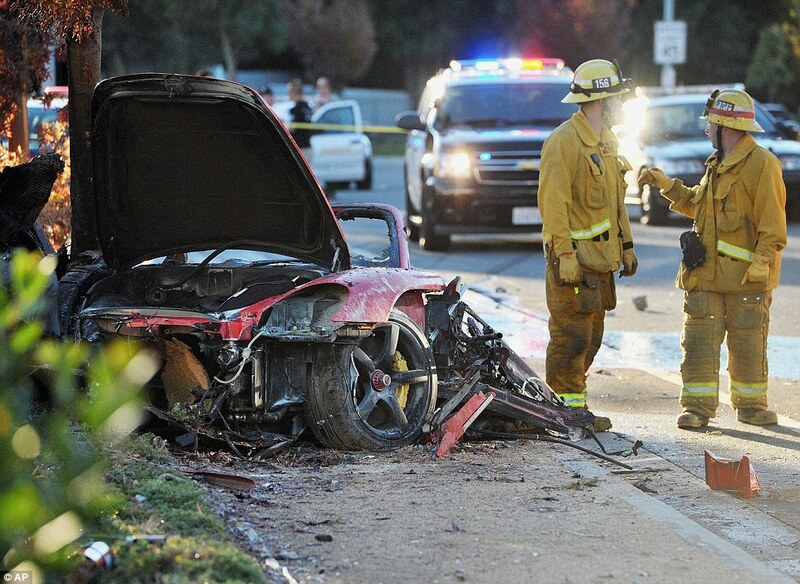 ‘This was just a tragic accident that happened on a joyride,’ said witness Jim Torp of Santa Clarita. 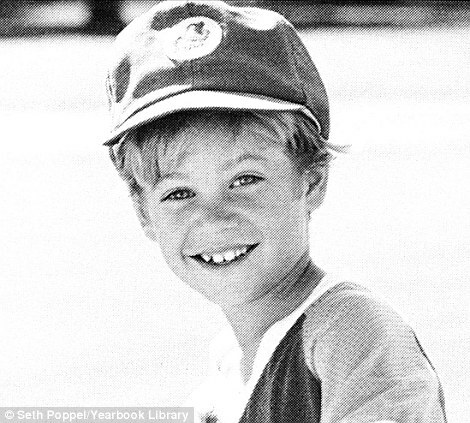 Walker was born in Glendale, California, and raised in the San Fernando Valley area with his four siblings. He previously said the early induction to show business wasn’t to kick start his career but a way to help provide for the family. After a string of TV roles as a child in the 1980s, Walker made his feature film debut in the 1998 comedy Meet the Deedles. Supporting roles in films Pleasantville, Varsity Blues and She’s All That followed. His performance in the 2000 thriller The Skulls caught the eye of producer Neal H. Moritz, who cast him in the Fast & Furious as undercover police officer Brian O’Conner. Adapted from a Vibe magazine article about underground street races, the film became an unexpected hit. In the sequel, 2 Fast 2 Furious, Walker moved to centre stage with his co-star Vin Diesel momentarily dropping out. Walker, a self-described ‘gearhead,’ kept his character’s sports car from the film. Other roles include Brokedown Palace, Flags of Our Fathers and the Hurricane Katrina drama Hours, which is set to be released in December. Although his stardom didn’t make as much of an impact outside the Fast & Furious series, Walker continually drew praise from his co-stars and directors as a kind-hearted and eager collaborator. 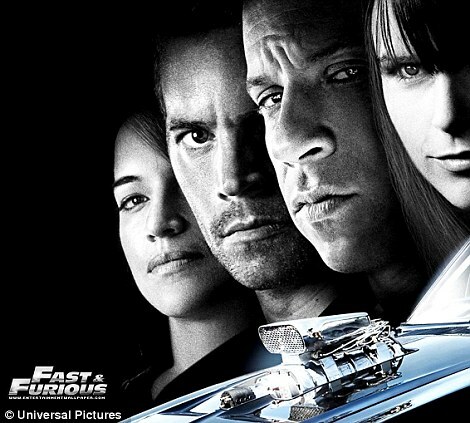 Released in May, Fast & Furious 6 was the most lucrative of them all, grossing more than $788 million worldwide. Walker is the father of a 15-year-old daughter, Meadow, whose mother had recently moved to California from Hawaii to be closer. 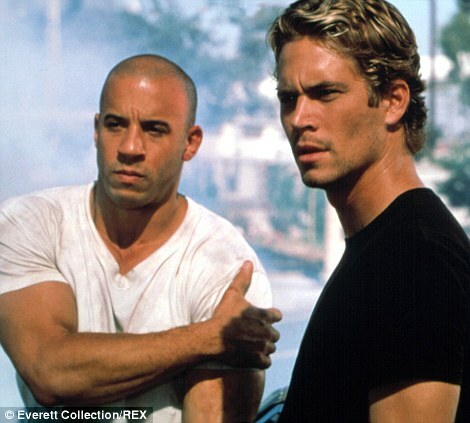 At the time of his death, Walker was filming the seventh Fast & Furious movie with Vin Diesel. Just yesterday, he tweeted the following message to his followers. 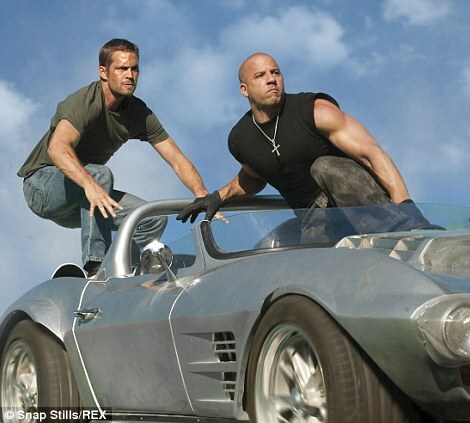 Walker had recently joked that he would continue working on the long-running film franchise until ‘Fast and Furious 66’. Hollywood stars have paid tribute to the actor, including rapper and actor Ludacris, who tweeted his shock and sadness at his Fast and Furious co-star’s untimely death. Alongside a touching picture of the film’s cast holding hands, he wrote: ‘Your humble spirit was felt from the start, wherever you blessed your presence you always left a mark. Mario Lopez, Jenna Dewan-Tatum, Jack Osborne and DMX also tweeted about the death. Walker’s death came just days after he was the victim of an online death hoax. The actor will star in the upcoming Hurricane Katrina drama, Hours, which Lionsgate’s Pantelion Films is to release December 13. He also stars in Brick Mansions, a remake of the French action film District B13 in post-production that Relativity plans to release next year. Walker formed Reach Out Worldwide in 2010 to aid people struck by natural disasters.